Six Sigma training can become expensive if you are a company employee working your way up to the ranks in your company or even if you are a business owner who is having employees trained. An affordable alternative to Six Sigma Black Belt Certification is the Six Sigma Green Belt Certification! 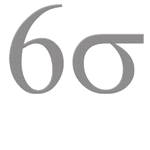 If you are thinking about obtaining a Six Sigma Certification, the best method is online. There are many reasons for this which includes cost, time factors, and convenience. You and your employer will both benefit from enrolling in a Six Sigma Certification from the web, rather than an onsite or classroom setting. If your business has given you the opportunity to get a Six Sigma Certification online, you should take advantage of it. This type of certification will make you a more valuable asset to your business and enhance your career greatly. When a company is offering to send employees to any type of training, they should take it. The Six Sigma Certification can be an expensive training program. If you can get it free through your work, you shouldn’t pass it up. Online is the best option for employers because employees can go through the certification courses during down times at work and whenever it is convenient for the company and the training candidate. Employers don’t have to worry about employees missing work and a loss of productivity when they send their staff to Six Sigma Certification courses online, instead of an on-site program. Employees can attend class right from their desk at work or at home. You might want to obtain a Six Sigma Certification to better your career on your own, and it has nothing to do with your current employment. This would mean possible time off of work if you were to sit in class. An online program allows you to go to you computer in the evenings, or during times when you are not working and available. It is difficult for many full-time employees to schedule their work around set schedule classes. Online training access allows you to schedule study time and tests when it is convenient for you. There is a big difference in the cost of attending Six Sigma training and certification online versus onsite. An online Six Sigma Certification can be much cheaper than an actual classroom learning setting. This is because when you take classes at a school, resources are used; utilities, the building, an instructor, and more. The costs need to be absorbed. It is cheaper to offer courses on the web, with fewer resources are used. You can save a lot of money enrolling in online Six Sigma Certification courses. If you are paying for your own certification, online should be your only option. Keep in mind, the costs of this type of training will differ depending on the training provider you choose. Always compare the different training providers; look into their costs, and training methodologies before you get started. Choose one that meshes with both your learning style and your budget. There are many reasons you should consider enrolling in a Six Sigma Certification course online. This type of training will make you a more valuable asset to any industry, save you money, and time. Employers benefit by sending their staff to online training as well. Thinking within the Six Sigma hierarchy, business owners and employees interested in their own education may think that they need at least Black Belt certification to make their companies or their careers smooth out, so to speak. The truth is, many business owners can benefit from simply training their employees to the level of Six Sigma Green Belt certification and many people can greatly further their career options at the Green Belt level; and it will be at a much more affordable cost – usually a savings of around 50%! Six Sigma training programs of all levels have been extremely successful in the past, but with the turbulent economic times, companies are sometimes forced to cut back on the money invested in employee training. Business-minded individuals who are also interested in furthering their education can also be set back because of turbulent economic times. However, it has come to pass that certain companies have begun to provide Green Belt training to their existing employees and are having amazing results. Six Sigma Green Belt Certification has been shown to be an affordable option with amazing results in the way a company is run and many businesses are opting for Green Belt certification programs for their employees. Companies who have already taken the route of providing this sort of training to their employees have reported a reduction in the overall project implementation costs around their companies. The main reason for this reduction in cost is the fact that they no longer have to pay high fees demanded by Black Belts. Six Sigma Green Belt training is not only more cost efficient for the companies that are utilizing this tactic, it is also more cost efficient for any person who is wanting to become Six Sigma Certified so that they can become a part of the Six Sigma team. Green Belts are not the lowest end of the Six Sigma hierarchy – the most basic Six Sigma Certification is the Six Sigma Yellow Belt. Green Belts obviously play an important role in the implementation and carrying out of projects within a company – they are the ‘worker bees’ of Six Sigma. Green Belts are now more highly sought after, so you can expect to have steady work as a Certified Six Sigma Green Belt.